I have solved the sudoku. Scratching my head on the second part. Any hints? It is not picked from any competition. 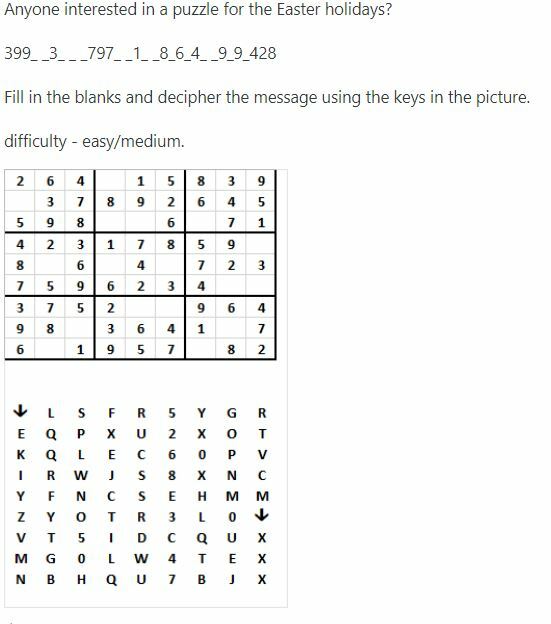 One of my office colleagues usually post these types of puzzles on emails for fun which are quite hard to crack. Browse other questions tagged cipher pattern sudoku or ask your own question. How can I figure out what this insane coded message says?